Here are the tour dates. Good luck in getting tickets! 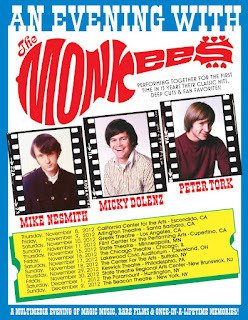 DEC 01 The Paramount – Huntington NY--I bought tickets for this one! 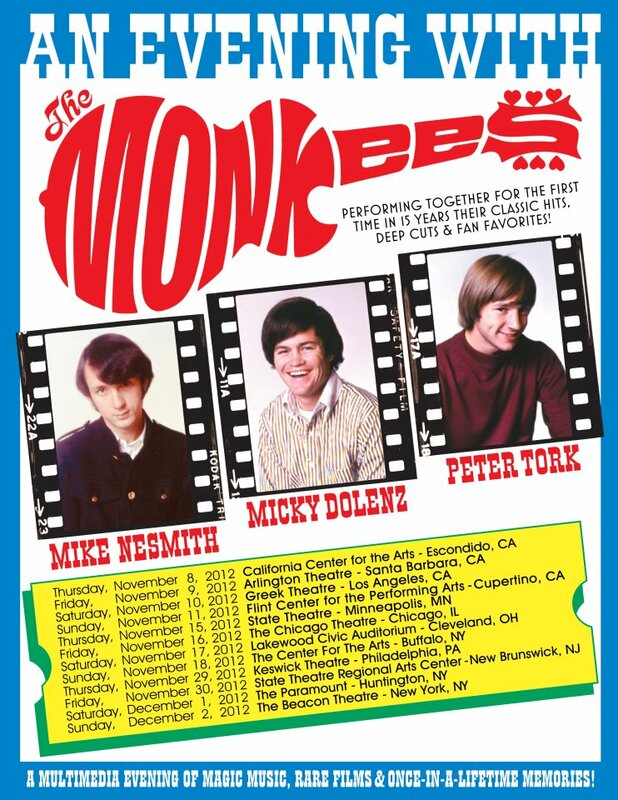 Michael Nesmith announced on Facebook that he, Micky Dolenz and Peter Tork will be doing 12 U.S. concerts together in November of this year. 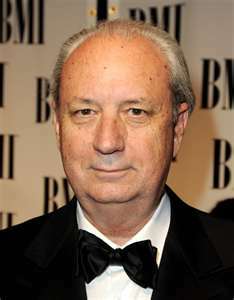 He released no other details, no venues, not even if they are going out as "The Monkees" or "Dolenz, Nesmith and Tork." More details are certainly to come, and yes, I hope they come to my town too.